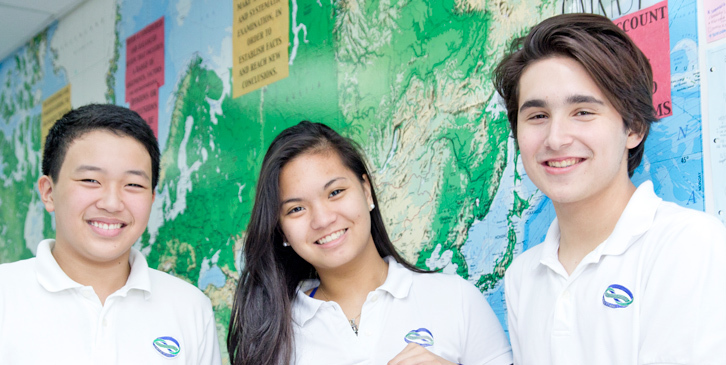 The approach to studying Filipino in the first two years of the High School is that of a second language. As such, students will be exposed to a variety of experiences that will allow them to experience, learn, and practice the use of the language. The objective to language teaching is communicative competence using developmentally appropriate activities and material. The language is taught in phases, aiming to achieve accuracy before fluency. Thus, a progression of skills will create a foundation strong enough for the students to develop listening, speaking, reading, and writing skills. conversation in formal situations, using their knowledge of a range of vocabulary and idioms. language, focusing on short novels, and will be expected to recognize structural elements present in them. Writing output will include simply poetry, well-written organized essays, short research reports, and simple stories. Filipino A Literature introduces students to the techniques in literary analysis, and empowers students to form independent literary judgments. Students completing this course will encounter a range of texts and multicultural perspectives. They will also analyze literary texts, and support their arguments in clearly expressed, critical writing. The course will enable students to succeed in a wide range of courses offered in Philippine universities, particularly in literature, but also in philosophy, Philippine studies, and language.